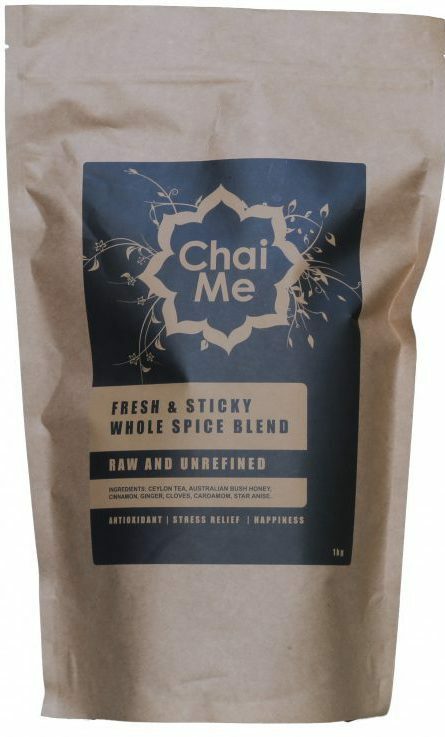 The Famous Sticky Chai – The Traditional Blend. The Secret Recipe. 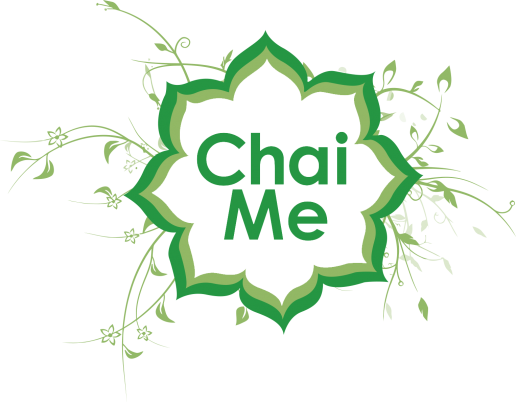 The Sticky Chai Tea is like no other, created using a secret recipe discovered during the famous Chai Me journey across the world. Freshly milled spices are blended together with whole spices, rich darjeeling tea and are then infused with Australian honey to naturally sweeten. This creates a remarkable taste that will leave you coming back for more. Scoop 36g (2 clumps on a teaspoon) of Sticky Chai Tea into a stainless steel jug. Add 360mls of milk of your choice (we prefer soy). Steam and texture milk until the temperature reaches 80 degrees. Pour into a teapot and allow to steep for about a minute or so to really let the flavours infuse. Serve with tea pot, 2 cups and saucers. Some more great recipes are available here. Made in Australia using local & imported ingredients.